Over the last few weeks, Warriors head coach Steve Kerr has made it known that he's not a fan of the way the NCAA handles its athletes. Recently, Kerr addressed the topic of kids turning pro on the Warriors Insider Podcast with Monte Poole. 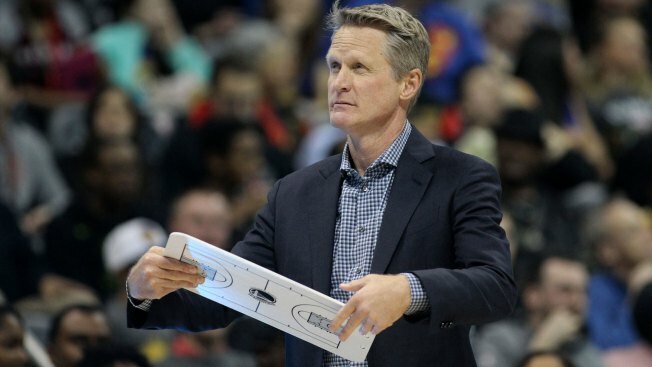 On Monday, a day after Kerr took in the G-League Santa Cruz Warriors game, the topic came up again after practice in Oakland. "I think there are a lot of things the league and the NCAA can collaborate on. The fact that the G-League is getting stronger and stronger, I think there are only three teams that don't have their own G-league team now in the NBA. The fact that the league is getting stronger and stronger, we should provide that opportunity for the high school kids that don't want to go to college.," Kerr told reporters at the practice facility. Then Kerr turned his ire towards the NCAA, the one-and-done rule and players losing their amateur eligibility if they sign with an agent. "I also think one of the things the NCAA needs to look at is, if a kid signs with an agent and declares for the draft and he doesn't get drafted, welcome him back. Why not? What's the harm? We're going to talk about all this amateurism and all this stuff, but if we're truly trying to do the right thing for the kid, and the kid declares for the draft and doesn't get drafted and realizes 'You know what? I should go to college.' Welcome him back. Do something good for the kids," Kerr said. "And don't just keep this ruse going. We all know what's going on. Let's do what's best for the kids and give them some options and work together between the NBA and the NCAA and find the right system. I think it's entirely doable if everybody just opens their eyes." Kerr's comments come on the heels of a report that league plans to meet with the player's association to discuss the one-and-done rule that is currently in place.